For your next kitchen renovation and bathroom renovation, you cannot overlook the plumbing aspect of renovation. Over the years, your licensed professionals have seen it all, and have worked on renovation projects that range from renovating the commercial property to replacing a faucet. More space – If you renovate your kitchen, you may find that you have more space to work with. Oftentimes kitchen enthusiasts complain that this is the number one concern that they have about their current kitchen. A new design – Have you ever looked at your kitchen and wondered, “Why is this here and not there?” That is exactly how many homeowners spend their day, and they are able to get the layout that they want (and that makes sense for them) through a renovation project. Increase the value of your home – If you have a remodeled kitchen, you will be able to ask for far more money when it is time to sell your home. Even if you are not ready to sell yet, remember that this is a long-term investment in the event that you ever do sell your home. If you want to opt for a bathroom renovation but are not quite sure that you are ready, we have a few of the main reasons that people opt for such a project. 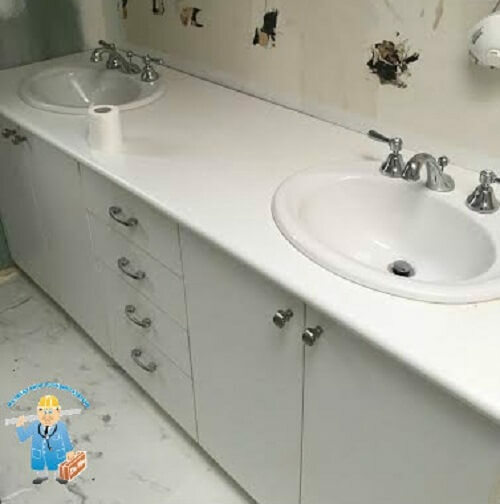 Correct certain features – Whether you have cracked tiles or a sink that perpetually leaks, you have the option to fix any problems that may exist with a renovation. You can add more space – The added space gained in your bathroom is a massive benefit of remodeling your bathroom. A more energy-efficient home – There is a reason that green or energy-efficient homes have garnered a great deal of attention. The latest statistics show that in the United States alone, users were able to save 70 billion gallons of water and $1.5 billion worth of energy costs. If you are seriously considering a renovation, it is important that you do not overlook the plumbing aspect of renovation. Even though having a professional designer take care of your remodeling needs, remember that what happens underneath your kitchen and basement is just as important. After your latest remodel is complete, you would hate to have to dig out the floors because of a burst pipe. That is why it is always clever to contact the professionals at Dr. Pipe Drain and Plumbing before starting any renovation project.